The Easy-to-Use Digital Home Art Studio. Q. Can I get a Disk with all these programs? Yes, for an additional $9.95 we can send you the whole Software Bundle on a Disk in the mail. You will have this option at the checkout page. Q. When do the download links expire? The download link is available for 28 days from the date of purchase but you have an option to purchase the extended download period for 2 years. Q. Can I use these programs on more than one computer? Some of these programs allow you to install it on multiple computers for your own personal use. Please make sure you read the terms and condition on each individual program. 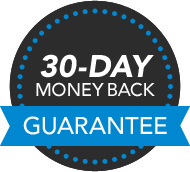 We offer a 30 Day full refund. Contact our Live Chat or Call our number 1-877-445-6618 and we will email you a refund form for you to fill out. Q. The Buy button is not working? If the buy button is not working you can place the order by calling our phone line 1-877-445-6618 or click the ‘click here’ link below the green buy button. Copyright © 2013 Avanquest Software. All rights reserved.